Human beings yearn for deep understanding of our place in the universe and our relationship with ultimate reality. Wisdom Traditions agree that there is an infinite Source to our existence; that human beings in our core are one with this divine Source and that the true purpose of life is conscious experience of this ultimate Source. In this retreat, we will experience contemplative spiritualities and practices from a variety of traditions (Christian centering prayer, Zen mindfulness meditation, Hindu passage recitation, Sufi love poetry, and nature spirituality walk), offering opportunities to engage as a group in the spirituality of stillness and attentiveness. The paths are many and rich, each of them revealing that we have an innate capacity to live life with deep purpose and great joy. Wini Wolff is an enterprise development consultant for mission-based organizations, with an MBA in International Economic Development and an MA in Theology. She has traveled widely, lived and worked overseas, engaged extensively in international social justice work, and taught at Villanova University’s Center for Peace and Justice Education. Wini has explored the wisdom of many spiritual traditions and has practiced daily meditation for more than 20 years. In this age of global diversity and cosmic wonder, the time is ripe for a reverential, wide-angle appreciation of the One Spirit and the Many Paths. 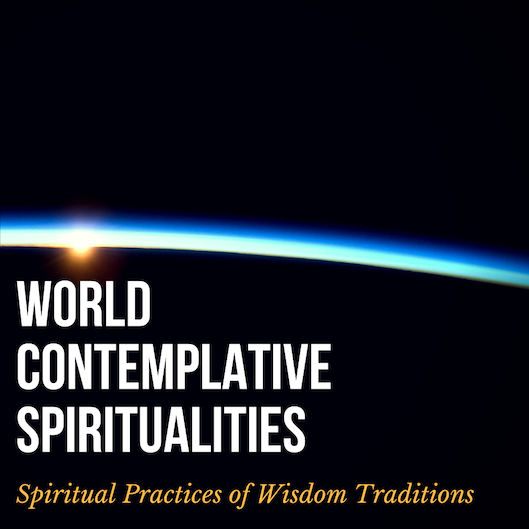 Contemplative spirituality retreats are gentle spaces where attendees can reflect on the lived experience of our unique spiritual journeys. The aim is to encourage moment-to-moment awareness of the One Spirit in all areas of our lives.